Cooler mornings and evenings have finally made their way to the Pittsburgh area, which also means cold and flu season are not far behind. Even though fall just started, planning your flu shot now could save you sniffles, aches, and pains later. According to the CDC, the best time to get a flu shot is before the end of October, since it can take two weeks for the vaccine to fully take effect. While the flu shot should still be effective if you get it later in the year, you’ll have the best chances of warding off sickness if you get it before flu season is in full swing. Last year’s flu season was particularly bad, with vaccinations only being around 36% effective. Still, health experts urge people to get flu shots early this year. The newest flu vaccinations have been adjusted to account for different strains of the virus that will likely rear their ugly heads this winter. The flu can be deadly, especially for seniors, children, and other high-risk groups. Non high-risk groups can help to prevent the spread of the flu by getting vaccinated. Washing your hands with soap and water is key to limiting the spread of germs. The flu is caused by a virus, not bacteria, so antibiotics won’t treat it. 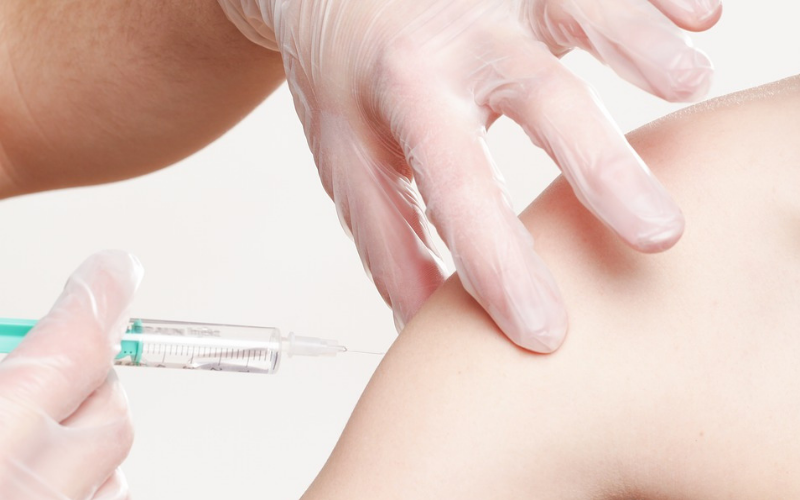 The flu vaccine does not give you the flu – it contains an inactivated strain of the virus. The earlier you get your flu shot, the better. Don’t wait until you’re already sick to get vaccinated! Be on the lookout for free flu shot clinics hosted by the Allegheny-Kiski Health Foundation in the coming weeks!